The trunk of it is in emotion – Emotions are a consequence of our brain activity. If your emotions are not in check, it is a sign that your foundation is not on solid ground. 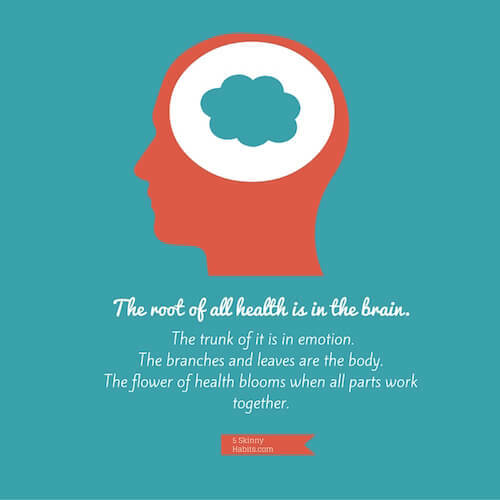 The flower of health blooms when all parts work together – You cannot the fruits of both physical and mental health, if your mind and emotions are not working in equilibrium. The 5 Skinny Habits includes Quotes from some of the greatest minds of all timeabout emotional and physical health, mindfulness, and habit formation, while presenting a practical program in order to make permanent changes, at the right pace.